We manufacture Stainless Steel Round Glass Spigots in height - 4", 6", 8" and as per the clients requirement. We have Glass Spigots in both Satin and Mirror Finish. We manufacturer Stainless Steel Glass Spigots of height - 4", 6", 8", 9" and as per the clients requirement. Our square shape glass spigot comes in both Satin as well as Mirror Finish. Glass Spigots with designing to be unique from regular standard glass spigots. Get our new designed glass spigots for for glass railing requirement. Contact us for more details and/or inquiry. Glass Spigot made up of Stainless Steel with Matt Black color coating for rich look. Get our Matt Black Glass Spigot for your Glass fencing at Pool, Balconies, Staircase, patios and so on. We have various options of Balustrade to meet all kind of railing structure. Various designs of Glass Balustrades Mini Post for Frame-less Glass Railings. 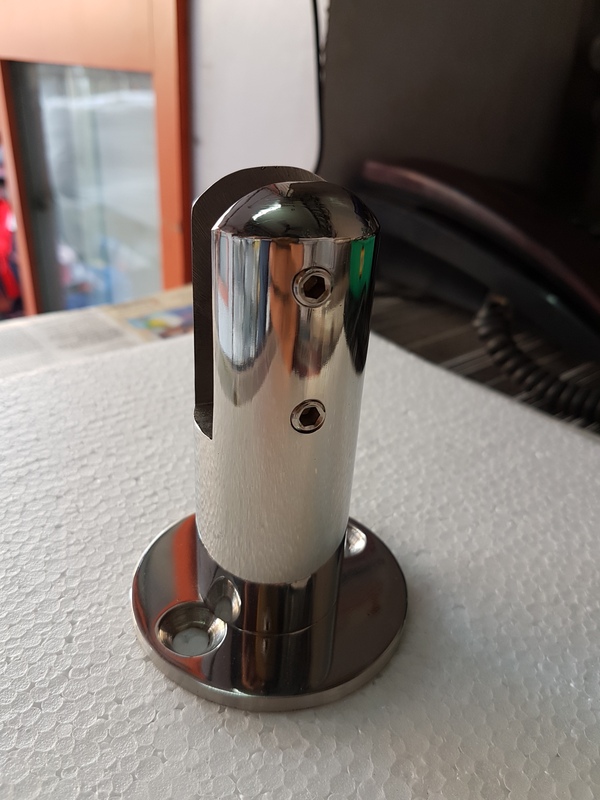 Manufacturers of Stainless Steel Railing Accessories such as Couple Set, PVC Bush, Pipe Ring, Rod Ring, Folding Elbow, Dom Nut, Round Ball Base, Round Pipe Base, Square Ball Base, Square Pipe Base, Ball Set, Short Bend, Elbows, etc. Stainless Steel Glass Stud in various sizes made from the fine quality raw material with Gasket for strong grip.